Fair Warning — Spoilers Ahead! You see the back cover of this book? Did you read what it says? Do you believe that these will be the events that transpire within its pages? Well, DON’T. This book is a LIAR. After finishing this book today, I tried to step away for awhile and examine the book as a whole, but I just couldn’t get past the disappointment that consumed me as I closed in on the final few chapters and realized that there wasn’t enough book left for anything to actually happen. Nothing. Zilch. NADA. This absolutely kills me because I had such high hopes for this book. My to-read list is a mile long, so when I want to immerse myself in a book, I’m extremely picky about which one I choose. The goodreads description of Dorothy Must Die interested me enough to add it to my to-read list, but when I happened to stumble across the Epic Reads site and saw how much hype and promotion they were giving this book, I figured it had to be something worthwhile. I ordered a copy for our Young Adult section, and I was also the first patron on the hold list. The day this book was catalogued, it was MINE, and I couldn’t wait to jump right in. A little background on me: I LOVE retellings. Give me a fractured fairytale, and I’ll be a happy girl. My first NaNoWriMo project? A really poorly put together novel set in a fantasy world that combined characters from fairytales and classic lit, including the Wicked Witch from Oz. Another fun fact? I’m actually not-too-distantly related to Judy Garland through the Gumm family (I did enjoy the not-so-subtle homage in Dorothy Must Die’s main character’s name being Amy Gumm). What do I NOT love? Well, when it comes to this book, frankly, a lot. I had such high hopes for this one, and those hopes crashed harder than Amy’s trailer-ride into Oz. The biggest disappointment was expecting to see Amy take on the Tin Woodman, the Scarecrow, and the Lion individually to take back their gifts from the wizard, and instead, I got an entirely different story. *SPOILER* – Amy isn’t told she has to take out the three henchmen before she takes on Dorothy until the END of the book. You read that right! The WHOLE book is spent mainly focusing on Amy’s arrival in Oz, her training with the Revolutionary Order of the Wicked to kill Dorothy, and her infiltrating the staff of Dorothy’s palace so that she can kill the ruby-shoed princess. Sure, she encounters the other characters, but nothing is said about having to take out Dorothy’s biggest supporters until AFTER Amy flubs up her assassination attempt at the very end. Seriously?! You tell me on EVERY site’s book summary what her mission is supposed to be, and then she doesn’t learn that mission till the end? Sure, maybe I didn’t realize this was going to be the first book in a series, but what are you going to do now? Devote one book to each character Amy has to kill off? 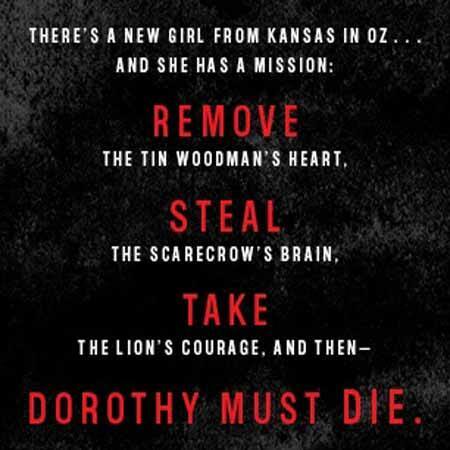 In that case, Dorothy will NEVER die. Other things I don’t enjoy include overly blatant foreshadowing and giving readers flashing neon arrows, as if we’re not smart enough to figure things out ourselves. Paige is guilty of telling, not showing. Such as when Amy is met by the mysterious Pete the gardener in an ever-moving maze. He lays the foreshadowing on pretty thick to where it reads almost like, “Dorothy and Glinda HATE this maze. They pretty much NEVER come here. They are SCARED of it. Now that it knows you, it will remember you and help you, Amy. Oh, you want to know why I’m telling you all of this? BECAUSE SOMEDAY YOU MIGHT NEED TO USE IT.” Do you really have to make it that obvious? Although, of course, much like the rest of the book, nothing happens and Amy doesn’t end up using this maze…so, unless it shows up somewhere in one of the sequels, this scene was pretty much useless. Speaking of Glinda, where is she? She’s introduced once in Amy’s first few hours in Oz, as she sees her from a distance. After that though? She briefly makes an appearance towards the end. Sure, we get to see this twin sister of hers that happens to be Wicked, but I would figure she’d be a much larger character. Also, if she’s so close to Dorothy, then why isn’t she part of Amy’s mission? Glinda as a whole just seems underdeveloped and underutilized. The last thing that tended to bug me was the way the author sexualized Dorothy to make her a villain. I 100% believe that female villains can be both attractive and evil, and frankly, those are the villains I enjoy. But Dorothy? It seems that most every bit of description had to be about her appearance – from her cleavage hanging out to the ruby red slippers turned f*ck-me stiletto boots. The only image I get when I picture this version of Dorothy are the show-some-skin, Leg Avenue Dorothy Halloween costumes. It simply makes me cringe because it comes off as overly cheesy. Make her every bit attractive as you want, but if that’s the only thing she’s got going for her, then the character is just going to fall flat. Yes, we do get to see some of her twisted cruelty (which I will give credit, is one of my favorite parts), but not nearly enough background or development to make me feel anything except disinterest in the character. I’ll admit this is list had few and far between, but the book did have some redeeming qualities. 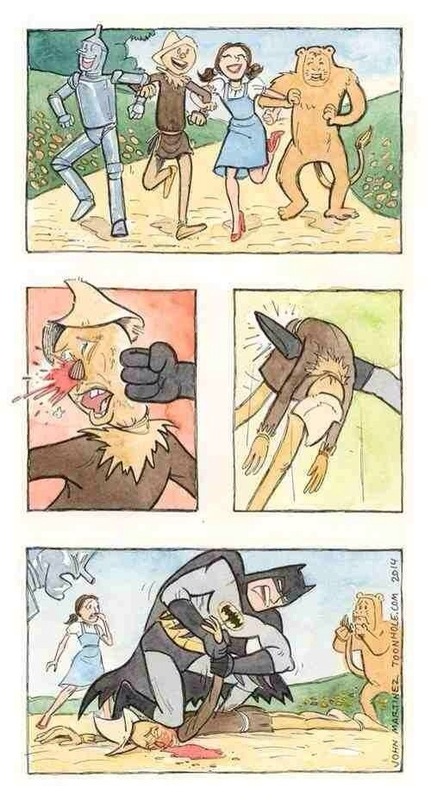 I do like a fresh take on Oz. The world building was clear and intriguing, and it added to the overall mood. I did like the twisted portrayal of -most- of the familiar characters like Tin Woodman, the Lion, and especially the Scarecrow. When the depths of Dorothy’s cruelty involving her former head handmaid was unveiled at the ball, that was the highlight of the book for me. It was creepy enough to make my skin crawl, and that was when I finally felt an emotional connection to the characters. The casual nods to L. Frank Baum’s text and to the movie were a nice touch and not overly in-your-face. Unfortunately, I do predict this series will drag out Amy’s “mission” for several books, to spend time focusing on her taking out each of the supporting cast before going after Dorothy. Will I read them? Likely not. It’s sad, but I don’t even care to guess what will happen in the rest of the series because I was just so unattached to the characters. I considered 2.5 to be generous, but I’ve taken my time putting this post together, thinking that eventually my opinion of the book would improve. Nope. Didn’t happen. I’m stepping away from it, clicking my heels together, and wishing I was reading a better book. Maybe next time. *EDIT* – Found this image floating around Facebook today, and I’ve deemed it “What Actually Should Have Happened in Dorothy Must Die“. This entry was posted in Book Review and tagged amreading, book, book review, books, danielle paige, dorothy, dorothy must die, goodreads, librarian, library, oz, review, series, ya, young adult. Bookmark the permalink.